← Wanna Try to Jump & Slide in Aling-Aling Waterfall? Buleleng is one of regency in Bali Province. It located in northern part of Bali Island which has the widest area in Bali. Beside of that, Buleleng has many amazing tourist destination such us GitGit Waterfall, Banjar Hot Spring, Beji Temple, Lovina Beach etc. It has many amazing place, beside of that Buleleng offer many delicious foods, those are Sudang Lepet, Jukut Undis, Siobak, and Blayag. The strategic location of the harbor city attracted many Chinese traders, which resulted in acculturation between Balinese and Chinese, as proven, among others, in the food called siobak. Made of pork, this meal can now be easily found away from Singaraja. The sliced meat, seasoned with sweet and salty soy sauce and traditional spices, is boiled, cut and then fried. What makes the sliced meat especially tasty is the thick sauce made of tauco (boiled and mashed soybeans mixed with flour and then fermented), various spices, pork broth and chili. If you want to indulge your palate, add cucumber pickles and crackers made of pig skin. 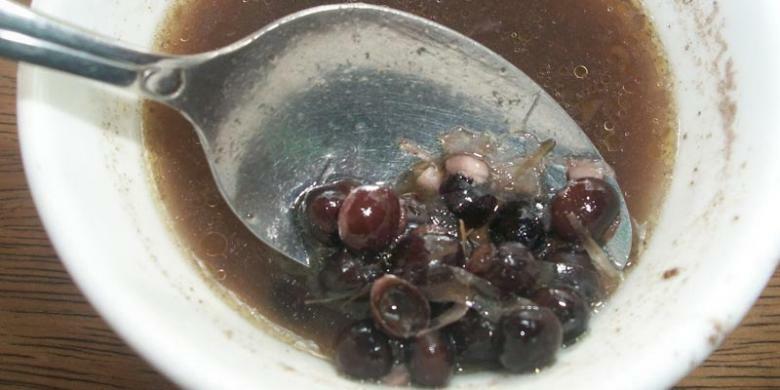 Do not forget to add the vinegar into the sauce to make the sweet, sour and salty taste stronger and tastier.Besides the savory siobak Singaraja, there is also another variety called siobak khe lok that has a sweeter taste. This food will be perfect if you combine with a glass of sweet iced tea or orange juice. 1 / 4 kg undis, soaked with water for 12 hours. Undis or black soya beans soaked for 12 hours. Drain. Rinse clean. Black soya beans then boiled until it looks soft (if less water, plus continued) Blend all ingredients, except the bay leaves and galangal. Next, it fried in oil. Remove and set aside. After soya beans looks soft, put the ingredients into the stew was black soya beans including bay leaves and galangal. Blayag is made from rice wrapped in coconut leaf and cooked for 5-6 hours. It cooked on Balinese traditional stove (cangkem paon) and makes this food is savory. The shape of this food is as similar as Bantal but Blayag is bigger than Bantal. The taste of Blayag is spicy and very delicious. 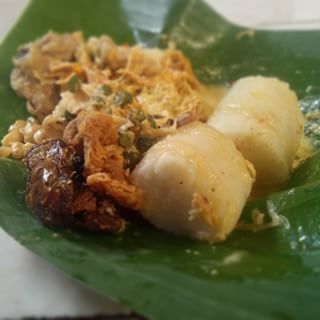 Usually, this food flavored with “basa genep” sauce (local mix sauces, the complete blend of spices) and mixed by rice flour. Blayag will cut into small size (easy to eat) and add with the savory sause. This food is served with jukut urab (made by many vegetables such as long beans, cabbage, spinach and flavored with seasoning named Kalas), shredded chicken, sambel embe (local sauses made by fried garlic), shredded coconut, egg and chicken kripik. Blayag has delicious taste because it served on banana leaf and this is traditional way to serve food. This food gives you unique taste and will make you eat more than 1 portion. 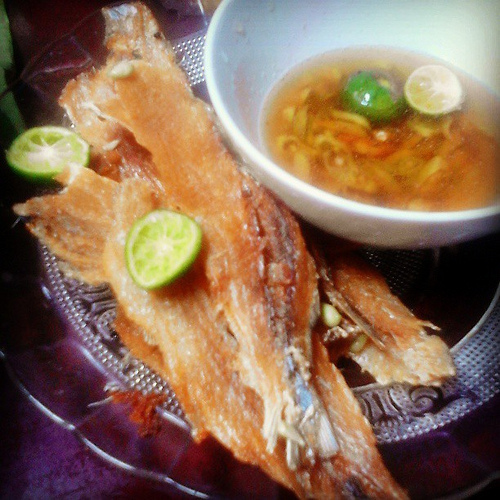 Sudang lepet (salted fish) and jukut undis (pigeon pea vegetable) are typical foods of Den Bukit community, Buleleng . Sudang lepet or salted fish is made through simple traditional process and certainly it is made without preservatives. However, not all marine fish can be made into sudang. There are some fish that can be used namely the species of sharks or stingrays. The making is relatively easy, so that it is also easy to find in all traditional markets throughout Buleleng. You can taste the crispy and savory when you eat the sudang lepet. 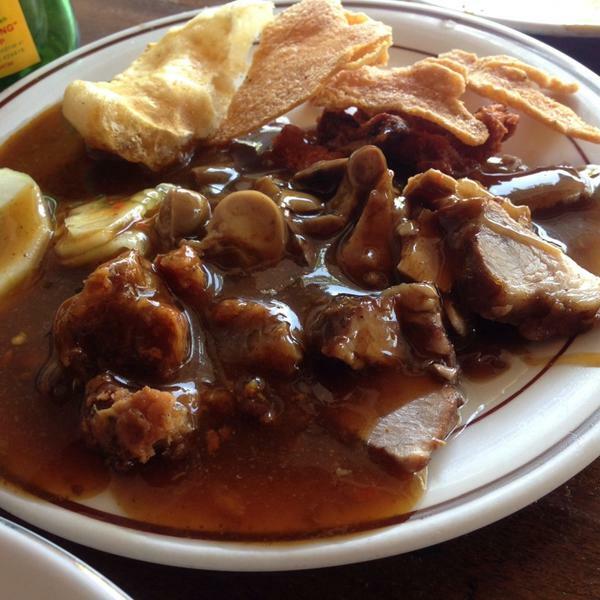 It is recommended food to eat in Bali when you got holidays in Island of Paradise. I believe you will get unforgettable experience. This entry was posted in News and tagged bali, blayag, buleleng, jukut undis, siobak, sudang lepet. Bookmark the permalink.